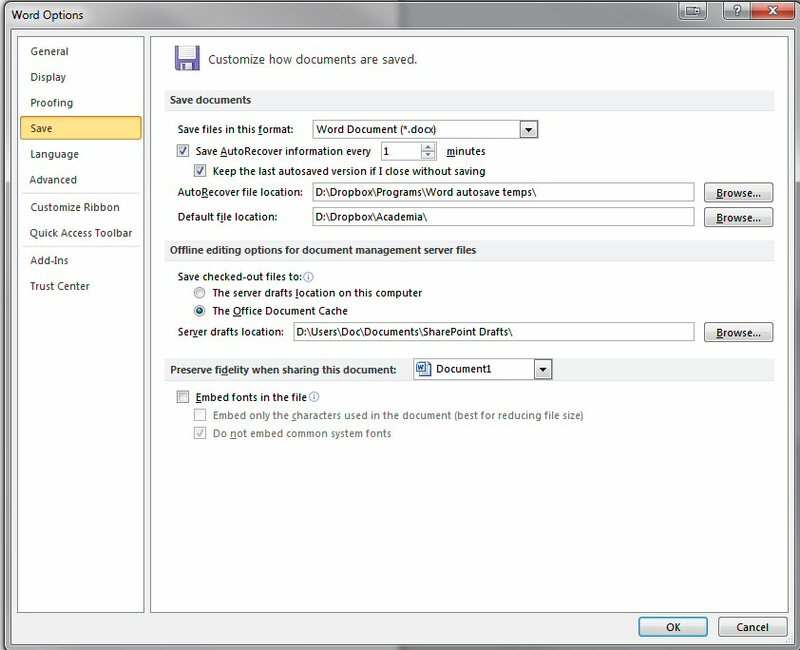 AutoRecover documents are the backups that are automatically created whenever you work on a Word document. If something causes Word to crash before the file is saved, the next time you open the program it will prompt you to look at these AutoRecover documents and determine if they should be saved or trashed. The most obvious reason for moving these to the cloud is to increase the chances of making a successful recovery of your work–e.g., imagine your laptop gets stolen while you’re in line buying a coffee. It won’t do much good to have an automatic backup of your important chapter draft / paper / screenplay if that backup is stuck on a hard drive you no longer have access to. It goes without saying that your most important final documents should already be saved to the cloud for safekeeping, so why not provide the same security to your drafts? I know sometimes I’ve written several pages of text before I get around to saving the document, giving it a name and location and thus enabling Dropbox to sync it. By relocating AutoRecover files to Dropbox as well, I know that my work is synced from the moment I start working on a new Word document (at least, assuming I have an internet connection). The second, less obvious reason to move your AutoRecover files to Dropbox is that it enables you to make use of the automatic Previous Versions feature that Dropbox provides. This is one of the neat, less-utilized features of Dropbox that can sometimes really come in handy–like if you screw up an important bit of code on your website and need to ‘roll back’ to an earlier version, or if you’re writing a paper and delete some reference or bit of info that you think you won’t need, and later decide it would be a nice addition after all. If you’re using Dropbox to sync your files, you will find that you already have access to previous versions stretching back to the last 30 days. For another $39/year you can get unlimited backups–previous versions of every file in your Dropbox, stretching back to the very first draft! Just click on any of the Versions to download a copy of the file. Cool, huh? So let’s move those AutoRecover files! First, head to the Options panel in Word — in Word 2007, it’s a small easy-to-miss button at the bottom of the File menu. Next, click on the Save tab. This is a good time to set your AutoRecover to trigger more frequently than the 10 minute default. I set mine to 1 minute, as you can see below. To move your AutoRecover file location, just click on the Browse button and select a folder somewhere on your Dropbox. You can also set your default file location to your Dropbox, if you haven’t already. That should do it–your AutoRecover files will now be backed up to the cloud! As you can see from the file path below the dictionary list, I’ve already set my default CUSTOM.DIC file to a location on the Dropbox. I use the same file for Word on my desktop and on my laptop, so I don’t have to repeat myself whenever adding new entries to the dictionaries. Finally, this last part requires the most work, but it can pay off if you use Word frequently. I like to manually type up notes from books that I’m reading, including entire paragraphs that I think I may want to reference later in my own writing. This requires a lot of fast typing, and I often make typos–in fact, I often make the same typos. In cases where it seems safe to create an auto-correct pattern to fix these for me, I do so. You can take a look at the patterns that are already built into the Word auto-correct database: just make a typo in Word, then right-click on it and select Autocorrect, then Autocorrect Options. At the bottom of the context menu is a list of words (on the left) that will automatically be replaced by other words (on the right). This is how Word is able to interpret (c) and turn it into a copyright symbol, for example–or create smiley faces based on emoticons. But there are also a lot of obvious, frequent typos that Word recognizes and automatically corrects: teh becomes the, agreemnet becomes agreement, etc. I suppose Microsoft could be forgiven for not including such typos as anthroplogy or hegmeonic–most folks probably don’t use these on a frequent basis, but I certainly do. I found that over time, as I experimented and added more auto-correct patterns to my laptop (my primary note-taking computer), it was saving me time and cleaning up my most-repeated typing errors. I wanted to extend this benefit to my desktop as well, but Word didn’t provide a way to relocate or specify the files where these auto-correct patterns are saved — they aren’t included in the custom dictionaries, described above. 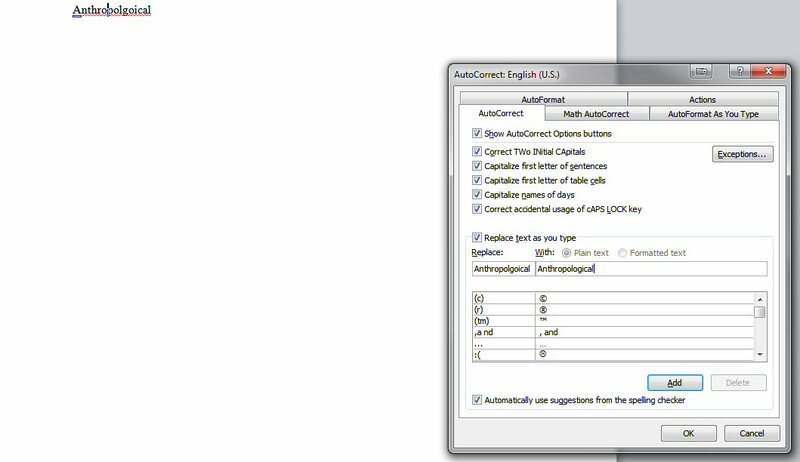 I did some research and found that the contents of custom auto-correct patterns are stored in a few files within the default folder on the C drive where Office likes to store configuration files: C:\Documents and Settings\username\Application Data\Microsoft\Office These files are named according to a pattern: MSO(Language ID Number).acl, where the Language ID number is a 4-digit code corresponding to each of the languages that Microsoft has provided support for (a few dozen seem to be available). 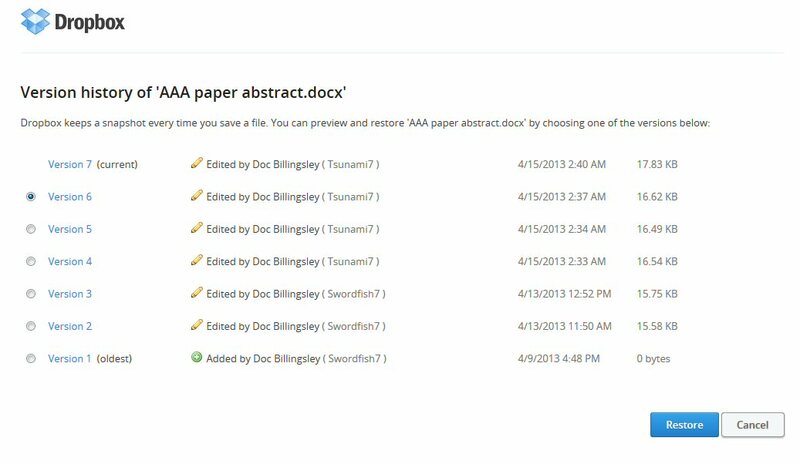 MSO1033.acl holds the entries for English; MSO1027.acl holds the entries for Catalan, etc. You may have more or fewer or different files depending on which languages you have installed support for in Word. Since Word requires these files to be located in the default folder, the only way I could sync them to Dropbox and share them across computers was to make use of symbolic links (described in an earlier post). I located the files on my laptop, copied them to a folder in my Dropbox, deleted the originals, then used Link Shell Extension to easily replace the originals with symbolic links to the synced copies in Dropbox. Then, on my desktop computer, I deleted the MSO…acl files and replaced them with symbolic links to the same synced copies in Dropbox. 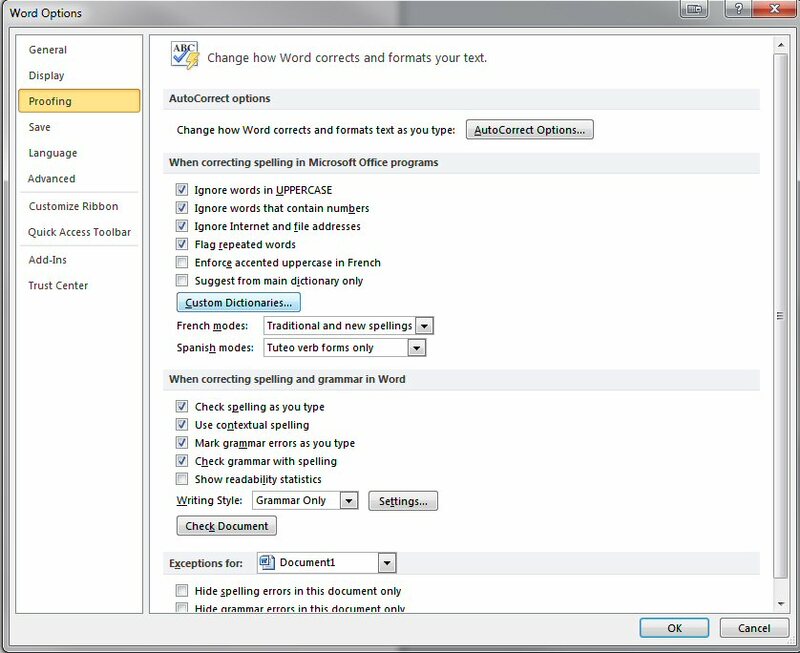 Now my desktop copy of Word draws from the same auto-correct patterns as my laptop, without my having to manually re-enter all of the patterns. And as I add new patterns on either computer, the other computer automatically benefits. Time saved!